There is a popular saying that infers that“dog is man’s best friend.” Having said that, it is perhaps only natural for anyone to want to reciprocate the affection, loyalty and companion that our dogs show us, by among other things, feeding them properly. Although dogs are naturally loyal and affectionate, that bond, loyalty and affection can often be enhanced and deepened by the types of food you feed them. To that end, one very important thing you should always do is check the ingredients of any over-the-counter dog food before you purchase, to avoid buying foods that contain artificial preservatives and colorants. Here in this article, we present to you the best dry dog food recommendations for your pet. Before you embark on the mission of buying food for your dog, it is wise to have a consultation with a veterinarian about the best dry food. You do not want to feed your pooch on diets that could turn allergenic or even toxic. Take time to find out the best brands that are proper, nutritious, and pocket-friendly. The Wellness Core is definitely one brand that fits the description of best dry dog food. Balanced seafood ingredients, greens and botanical. With the Wellness Core dry food, you often won’t need large amounts to feed your dog. The high quality product is protein-rich and contains balanced seafood ingredients and greens to promote health for your four-legged friend. One of the benefits of the Wellness Core dry dog food is that it is available in a variety of blends of herring meals, menhaden, and salmon fish-meals that are hearty, thus boosting the appetite of your dog. The Wellness Core is vital for the protection of your dog’s fur and skin. However, you will probably have to brush your dog’s coat regularly to maintain its health and cleanliness. The next time you go shopping for your dog’s food, be sure to try out Wellness Core. It will not disappoint you. Large breeds have a distinct set of nutritional requirements compared to the smaller breeds. 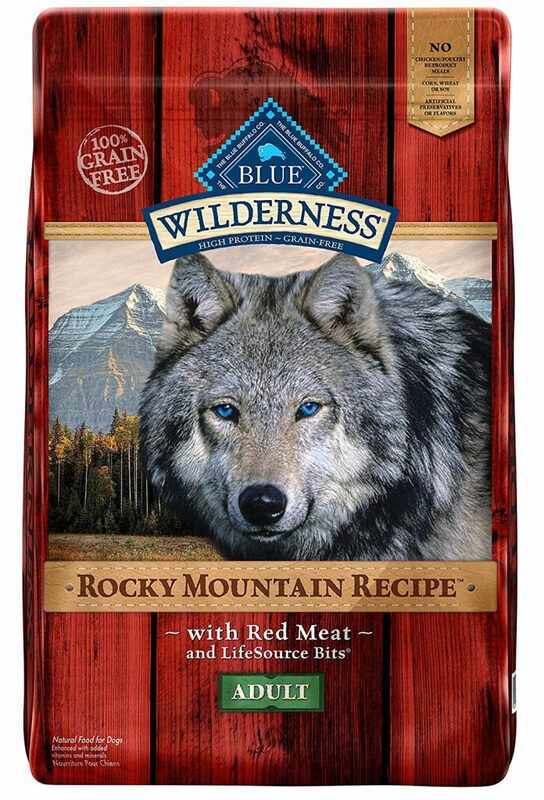 One of the best dry foods for large breeds is the Rocky Mountain Recipe Red Meat Grain Free. This diet has well balanced blends of vitamins, antioxidants, and minerals. The Rocky Recipe is wonderful for the fur protection of your dog, plus it meets all the expectations in smell, crunch, and taste. The dry food is rich in protein that helps in the development of healthy muscles. Large dog breeds usually expend significant amounts of energy during the course of most days, carbohydrates and proteins in their meals are essential for the provision of this energy. Large dog breeds also require a lot of calcium and phosphorus for promoting strong teeth and bones. The Rocky dry food contains the ingredients that promote joint functions, support, and overall movement. This diet has effective balance of Omega 3 & 6 fatty acids that ensure healthy coat and skin for your dog. Besides, dogs require diets that help them to fight against illnesses. The Rocky meal has chelated minerals, antioxidants, proteins, and vitamins that boost the immune system. Small dogs may require more energy than large breeds since they grow intensely and within a shorter period of time. You will often need to feed them with diets that give more energy and maintain their health. Additionally, small dogs live longer than large breeds thus they need more energy levels. They also have fastidious appetites that require constant satisfaction. 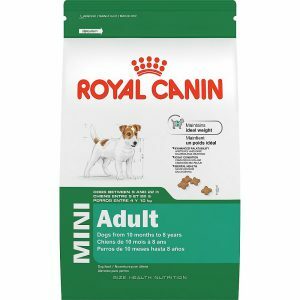 The best dry food for the small dogs is the Royal Cannin. 100% Balanced formula for small dogs. Diet options for puppies are often special requiring many minerals and vitamins, while taking care of their delicate digestive systems. The Blue Buffalo Dry Puppy Food is the best dry dog food for puppies. The Blue Buffalo Dry Puppy Food is specially made from the finest ingredients to help your dog grow strong and healthy. This diet helps in coat and skin growth and boosts cognitive development. The dry food has lamb blended with other ingredients such as vegetables, fresh fruits, and grains to provide healthy meal for your puppy. Arguably, puppies have delicate stomachs and therefore require special care at this stage in their life. Energy requirements for the puppies depend on their lifestyles and activities. Most puppies are jovial and active thus Blue Buffalo meals are a good option to provide them that bundle of energy they need, as well as overall good health. 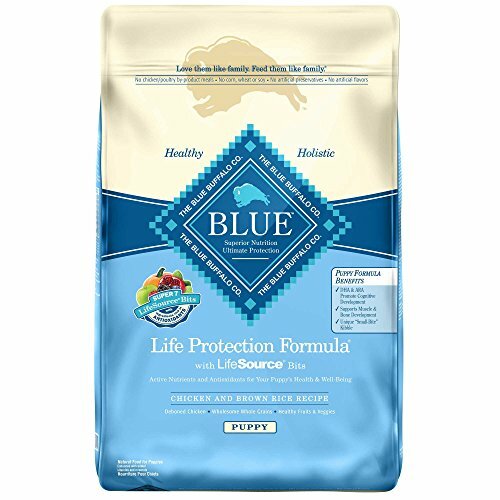 The Blue Buffalo meal products are uniquely packaged and have printed instruction on how much to feed your puppies depending on their age (months). Holistic Health is a perfect dog food that has a great combination of key ingredients such as protein, digestive enzymes, fiber, and probiotics. The food boosts a perfect absorption and utilization of vital minerals and nutrients in the dog’s body. The brands are unique and special for each stage of growth of your dogs. It concentrates on providing botanicals, digestive enzymes, fibers, prebiotics, and probiotics. It is highly recommended for all stages of dog’s growth and especially if your puppies are having digestive issues. It also boosts appetite and increases digestive strength. Dog nutrition is vital and thus you should commit some time to research about the best dry dog food before purchasing. Most dietitians recommend brands that have essentials such as energy, fats, proteins, fatty acids, minerals, vitamins, and other micro-nutrients. Companies are recognizing our love for dogs and they are responding by offering a variety of dry dog brands. However, not all-dry dog food is appropriate for your dog. Some can turn allergenic or even toxic to your breeds. You need to consult with your veterinarian about the best diet for your dog before you purchase the brands from your shopping mall. If you have ever tried to search for dog food products over the internet, you will likely know how much variety of dog food brands there are in the market. This large number of brands can often be confusing and makes it difficult to make a choice. Here are the top best dry food brands. This unique brand acquires its source of protein from cottage cheese. Comparison between the dairy products show that cheese has high levels of protein and over 70% reduced lactose. The brand combines its dogs’ food with chicory roots that provide inulin. Contain 22% of fresh vegetables and fruits. It has balanced levels of minerals and vitamins and other nutrients. The Evo Herring brand has 78% of animal proteins that serve as a suitable meal for boosting the development and maintenance of strong muscles for dogs. Chondroitin and glucosamine sulfate are added to the Evo Herring brand to ensure the development of strong joints. On top of Omega 3 fatty acids, the Evo Herring brand adds DHA and EPA to support the growth of smooth skin and healthy coat for your breeds. The balanced formula contained in the Evo Herring brand is aimed at maximization of protein concentration and limitation of carbohydrates. It is a suitable brand for all dog breeds because they help to preserve minerals, vitamins and other nutrients. It also has high digestible levels that ensure the maximization of nutrients absorption. Has double animals proteins acquired from pork and chicken meals. As your dog advances in age, there is need to provide it with specialized food that contains fewer calories. The metabolizing and digestive systems of dogs faces difficulties with age. The Eagle Pack for senior dogs is the best brand that ensures lean, strong muscles, and good health for adult dogs. The high levels of energy contained in the Eagle Pack meals helps your dog to remain active and promote a healthy lifestyle. The brand focuses on appropriate chicken meal as the source of protein. The high levels of carbohydrates and fibers are important for dogs especially those that lay around home. Have 33% dry matter protein, 22% fat, and 36% carbohydrates. Contain chicken meal and is a plant-based diet. Chicory root is prebiotic and soluble dietary fiber. The Ultra Senior dog food from the Nutro brand combines flaxseed and sunflower oils in the food’s formulas. Flaxseed oil is an important source of Omega fatty acids that protect dog fur and skin. Animal protein and minerals are also high in the Ultra dog food. Contain Beta Carotene and Glucosamine. Have vitamins, proteins, and nutrients for good health. Have DHA, EPA, calcium, and phosphorus levels. L-carnitine substance that burns fat. Have fewer calories by 6%. Contain glucosamine, chondroitin sulfate, and Vitamin E.
The Innova brands are the best for good digestive system, pain relief in the joints and provision of holistic nutrition. This brand has different flavors to suit the taste and appetite of different dogs. Besides, the fewer calories contained in the meal is recommendable for your senior dog.